Internet of Things (IoT) solutions is empowering complete digital transformation in several industries, enabling to optimize existing processes and excel at pursuing new business models and methodologies. Several businesses are utilizing IoT solutions and services to improve customer services through remote monitoring. The Internet of Things will be no different from markets disrupted by the Internet — except that the change will be across a far broader set of companies. Internet Of Things Companies are businesses with the digitization of physical assets and involves almost every company. Many large companies assume that they have plenty of time to take a plunge into the IoT world, or that they are too big for the change to significantly impact their businesses. However, this conception is all set to change. As the IoT grows in importance — Gartner predicts the number of connected devices is likely to reach 14.2 billion in 2019 and will continue to grow up to 25 billion by 2021 — increasing formerly human-run processes that will be automated using algorithms in diverse areas such as data ownership, privacy, and regulatory compliance. We’re excited to see how it will enable new and innovative use cases in areas like autonomous vehicles and Industrial IoT. 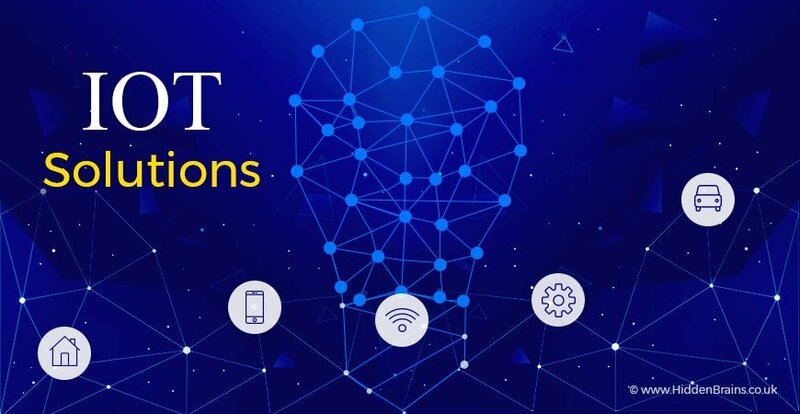 Enterprises are now focused on staying connected and making IoT a core element of digital transformation strategies. This is resulting in increased demand for IoT security solutions to protect from growing number of IoT cyberattacks seeking to access crucial and sensitive data stored on IoT devices. The future of IoT will be all about launching new IoT specific solutions aimed to create a secure ecosystem, including IoT security-as-a-service offerings which result in simplifying AI-powered technologies to identify any suspicious or abnormal device or application allowing enterprise to respond to attack in an efficient manner. IoT application platforms continue to grow leveraging the value of aggregate data, bringing together disparate device types and analytics to quickly build scalable solutions. Modern IoT platforms will allow new applications can be rapidly developed and deployed. All the collected information is stored in a shared data repository with sophisticated permissions and access management, and data scientists can easily ask new questions integrating multiple existing systems. This simplicity will allow new opportunities for innovation and optimization. Industrial IoT has eliminated manual process associated with paperwork enabling digitization and automation of work process. Sensors allow machines and assets to automate processes as data is available. Real-time updates of the operations, process, and the machine health is now integrated onto a single dashboard, helping people in the factory to access the information and make decisions faster. It is now the era of 5G, one of the most anticipated technology trends in the industry is 5G and how the Internet of Things will be enhanced by wider deployments of 5G networks around the globe. This new technology is opening up new possibilities for IoT supporting interconnected world which will further drive IoT innovation. The new era of 5G will allow gathering, managing, and analyzing data in real-time. 5G will enhance the capabilities of edge and cognitive computing particularly vital to certain applications like self-driving cars, where computing must be performed as close to the device as possible to reduce latency of decision making. The list of industries ready to take the leap and help businesses to the next level with 5G is finally becoming available and is long. The industries include manufacturing, logistics software solutions, public safety/emergency and smart cities. The year 2019 will see intelligent and smart home goes mainstream. The rapidly increasing ecosystem of smart home products available to consumers from mainstream household brands. Automation and connected devices will be deeply integrated into routine tasks and will encompass lighting, heating, cooling, and other household processes. It is not just about energy efficient buildings will benefit from optimized heating, ventilation and air conditioning systems, and more efficient lighting. Smart buildings will move towards space optimization, safety alerts, security, as well as asset tracking, with the help of advanced technologies like location services, image recognition vision and ML. Devices will become very powerful due to local data processing and AI capabilities. It will minimize data transfer volumes, cloud dependencies as well as provide much needed flexibility and agility for today’s modern organizations. Edge computing will positively affect different industries require timely and quick action based on complex real-time data analysis such as manufacturing and public security and where cloud connectivity may be restricted shipping and logistics. IoT is a very broad-based technology, transforming everything from consumer devices to large-scale manufacturing and industrial applications and will go a long way toward determining the future of the technology. The goal is about creating a robust ecosystem that is fully prepared to handle IoT’s impact. If you are looking for IoT-enabled solutions to take you to the next level of digital transformation, get in touch with our team.